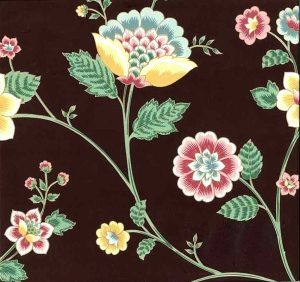 A Jacobean floral vintage Wallpaper in Rose & Navy with stylized, paisley-like flowers on luscious Green vines all on a field of deep Taupe. 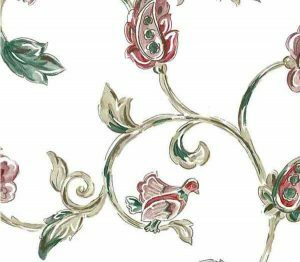 This wallcovering has an English flavor to it. Almost paisley-like in feel. 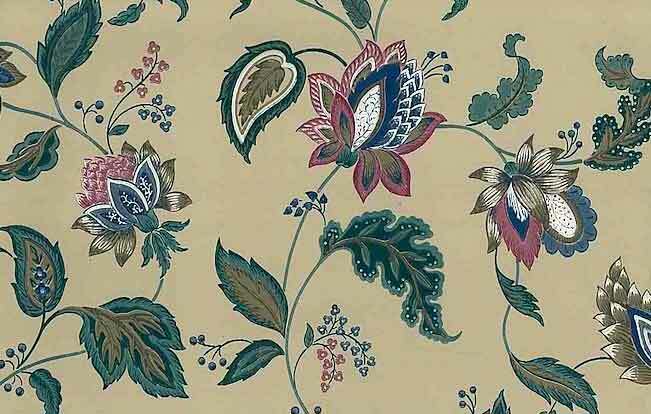 This pattern is very dramatic but in a subtle way. Great choice for a Dining Room, Bedroom or Study.